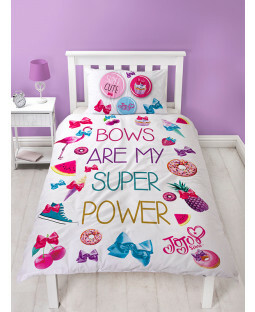 Give your girl’s or boy’s bedroom a totally cute makeover with the Jojo Siwa range of bedding, accessories and gifts. Featuring her trademark bows, stars and rainbows, this selection of official merchandise adds tons of fun to any space. Choose from a selection of duvet covers for single beds with matching pillows. 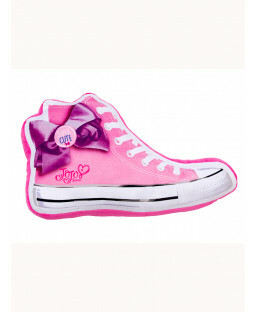 Complete with brightly coloured bows, shoes and donuts, Jojo fans will find one they love. There’s even reversible duvet covers with 2-in-1 designs so you can change up your décor. 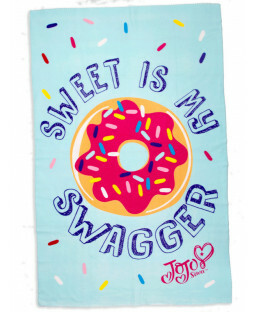 Complete your look with soft furnishings including Jojo Siwa cushions, blankets and more. 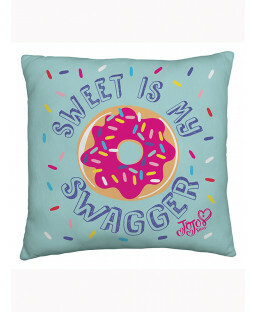 These fun accessories include quotes like ‘Sweet is my swagger’ and help to create a fun and cosy space in your kid’s bedroom.